I'm Ed Smith, a Yuba City Car Accident and Personal Injury Lawyer. Yuba City is located at the center of the Sutter Buttes within the Central Valley of California. Yuba City is best known for its small-town charm and unique blend of wildlife and urban amenities. With a population of roughly 66,860, the chances of finding yourself involved in a catastrophic accident can be high. If you have been injured due to someone’s negligence or hurt in a car crash in Yuba City, please call me today for free, friendly advice. I am a personal injury attorney who has been helping injured people in Sutter County, Yuba County, and throughout Northern California since 1982. You can contact me anytime by calling (530) 392-9400. Accidents in Yuba City can take place on any roadway. Some of the more traumatic and deadly collisions occur on Highway 99. In Yuba City, 99 is built to freeway standards. However, it does contain people commuting from Sacramento or Chico, sometimes at high rates of speed. Drunk drivers, distracted drivers, negligent truck drivers, and others often cause crashes on 99, or at the 99/20 interchange. While there are not many high-speed roads in Yuba City itself, accidents can and do occur. Of course, not all car wrecks in Yuba City take place on these roads. Crashes also happen on Highway 113 and at major intersections, in parking lots, at convenience stores, and nearby school zones. If you were injured in a motorcycle, car, or big rig accident, you may be in pain and feeling some uncertainty in trying to make sure that you are treated with fairness. 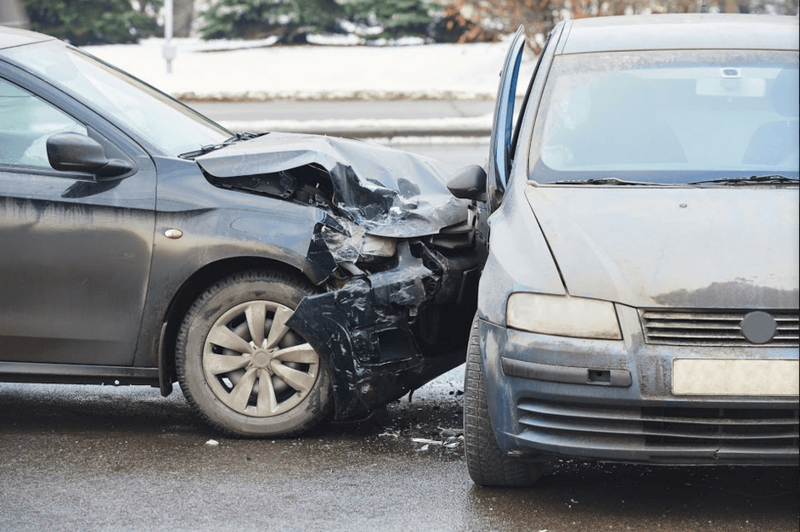 The truth is, the parties involved in the crash, insurance adjusters, and even some car accident lawyers often have their own best interests in mind. Here we take a very personal and holistic approach to all auto accidents. Much of my staff has been here over 20 years and is made up of individuals with great skill sets who care about each client. Our firm is known as the "personal" personal injury law firm because we take the time to get to know you, your background, your hopes, and your goals. I am passionate about helping my clients recover both financially and personally because I know what it is like to deal with the consequences of a serious injury. Our firm practices personal injury law exclusively. We have a history of taking cases to trial if needed, and we have a long track record of successful verdicts and settlements. Tragically, accidents also cause fatal injuries. Fatal crashes can be devastating to those who have lost somebody they love, and feelings of grief can sometimes be overwhelming. These hardships are often worsened by knowing that the fatal accident could have been prevented. Our firm is committed to compassion. We do everything possible to help families and dependents of decedents recover fair compensation from parties responsible for their loved one's death. I take all of my serious injury cases on a contingency fee basis. This term means that I do not ask for any payment up-front and my clients are only responsible for lawyer's fees if I can successfully negotiate or win their case. Operating by contingency means that I can help people who would otherwise not be able to afford excellent legal representation. Many are unsure of what it is like to meet with a personal injury lawyer for the first time. To learn what to expect from an initial interview with an attorney, you can watch this helpful video produced by our firm. It’s likely that you’ve seen hundreds of advertisements for attorneys on billboards, television, websites, and more. Many of the ads you see will make big promises and cite incredibly high rates of success. However, the reality is that only a small portion of these lawyers are really prepared to do everything they can to make sure you obtain the full amount you deserve. Many of the injury lawyers who advertise their high rate of success are willing to settle cases with insurance companies that offer less than what the injured party should really be compensated. While some attorneys may think of accepting low settlement offers as a victory, our firm ensures that our clients obtain the full compensation they are rightfully owed. It’s possible that you think I may not be the right lawyer for your specific needs, and that is entirely understandable. Regardless, I’d like to share with you some of the most important things to know about an attorney before you decide to hire them. Reputation - One of the best ways of figuring out if an attorney has a good reputation is by seeing what others have said about them. Today, doing this is easier than ever. By checking third-party sites such as Google, Yelp, Facebook, Avvo, and others, you can see what a lawyer's clients think about them. Because lawyers cannot control what is said about them on these sites, checking them will give you an honest picture of their reputation in the community they serve. Experience - It is essential to know that your legal advocate has experience handling cases like yours. A lawyer with years of experience dealing with serious personal injury cases will be much more familiar with how to ensure your case is dealt with properly and with excellence. It’s also important to be sure that your injury attorney is comfortable taking your case to trial if necessary. In many cases, all you have to do is ask your lawyer whether or not they are prepared to take your case all the way to court. A lawyer's answer can give you an idea of whether or not they are truly ready to present your case to a jury. Verdicts and Settlements - Taking a look at your legal practitioner's work history is also a good idea. Your lawyer should have a long history of settlements and verdicts and should be proud to discuss them with you. Most lawyers have a list of their case verdicts on their website. You can view mine here. Resources - Some law firms are just too small to afford to take a case before a jury to counter insurers making low settlement offers. You should make sure that your attorney's firm has the financial resources needed to do everything possible for your case. Money shouldn’t be an issue standing between you and the compensation you deserve. Why Hire an Injury Lawyer from Sacramento Instead of Yuba City? Many people are curious about why they would hire me to represent them when they could hire a Yuba City personal injury lawyer and avoid the hour-long drive. However, there are a few important reasons to consider hiring an injury lawyer who is outside of your area. For economic reasons, many small-town lawyers have to relocate to areas with larger client bases so that they can make a living. For this reason, it can be hard to find top-rate legal representation in a relatively small city. Lawyers in larger populated areas are able to specialize their practice. This is a crucial part of choosing the right attorney. Our firm is selective about the cases we take, and we focus exclusively on those involving serious injuries. If you have a severe injury, you want to make sure that your lawyer knows exactly what they are doing and has plenty of experience handling cases like yours. For some, an accident injury can make traveling even short distances difficult. If this is the case for you, call me, and we can discuss options that suit your needs. I'm Ed Smith, a Yuba City car accident and personal injury lawyer. If your life has been changed by a serious accident, please reach out to me to get some free, friendly legal advice about what your options may be. You can call me locally at (530) 392-9400 or toll-free at (800) 404-5400. You can also see for yourself what my clients have said about my work at Google, Avvo, and Yelp. I'm a member of the Million Dollar Advocates Forum and the National Association of Distinguished Counsel. To learn how I have helped my past clients, you can look through some of my verdicts and settlements. Q: I was involved in a car crash where my vehicle was damaged severely, and it may be possibly totaled. Is it better to go through my own insurance to have my vehicle repaired or should I go through the at-fault party's insurer? It is best to have your vehicle repaired by your own insurance if you have collision coverage. The reason why is that your own insurance has a duty of good faith to fix your car or total it in a fair manner. The other insurer has no such duty, and often delays or provides low offers for property damage. If liability for the accident is clear, have your own insurance repair your vehicle. The other insurer will reimburse you for your deductible, typically within 2 weeks. Q: I was involved in an auto accident in Yuba City, but have no health insurance. How can I seek medical treatment? First, make sure you really have no medical insurance. Many people are not aware of it, but most auto insurance policies have coverage called Medical Payments or Med-Pay. This provides coverage up to a certain amount to those injured within the insured vehicle regardless of fault. If there is Med-Pay coverage available, then every party within the car has a certain amount in coverage to use on medical treatment. Many people ask me if I can suggest them a local chiropractor or repair shop to help them deal with some of the damages their accident caused. The auto shops and chiropractors listed below are well-established and highly reviewed.